Many new cars now feature an automatic crash-detection system that will call 911 for you whenever you are in a crash that is bad enough for your airbags to inflate. Adding this kind of functionality to an older car is typically very costly, but Nashville-based startup Splitsecnd just launched an Internet-connected plugin for any car that offers the same kind of functionality and also lets you track your car’s location online. The device costs $199 plus a $14.95 monthly service fee and is now available for purchase on Splitsecnd’s website. It will ship within the next two weeks. The company hopes to start selling it at brick-and-mortar stores later this year. Founded by Vanderbilt University graduates Chris Thompson (CEO) and William Green (CMO) in 2010, Splitsecnd raised $2.1 million from Tennessee Community Ventures and the team also participated in Nashville’s JumpStart Foundry program. As Thompson and Green told me earlier today, they first wanted to just launch a mobile app that could be used in case of an emergency, but they quickly decided that in order to really provide the safety features they were looking for, they would have to offer a hardware solution. Users simply plug the Splitsecnd device into their car’s cigarette lighter and from then on, it will use its accelerometer to watch for a potential crash. As Thompson and Green stressed, the team put the device through strenuous safety tests, including at the University of Michigan’s crash labs, to ensure that it wouldn’t break in case of a crash (the outside is made of a hard plastic with metal on the inside) and wouldn’t start sending false alerts either. The device will call the company’s New Hampshire-based call center when it detects an accident (or the driver presses the emergency button). The Splitsecnd features its own built-in speaker and microphone, as well as a battery, so it doesn’t rely on the car to work in case it gets thrown out of the plug. 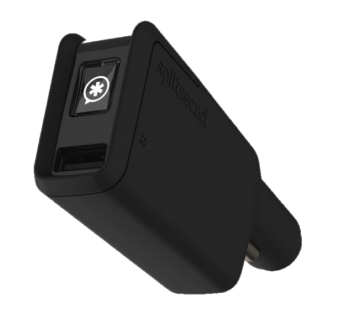 The device also features a USB plug, so you can still use your 12V plug to charge your phone. 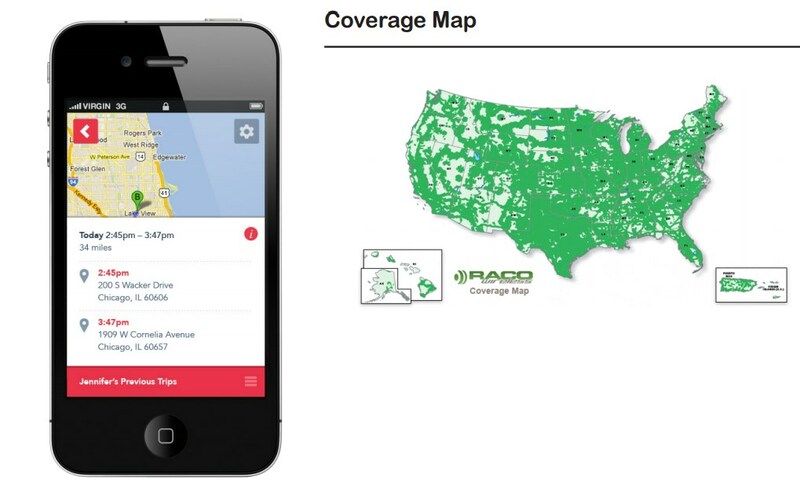 Cell service for the Splitsecnd is offered through RACO Wireless, a company that specializes in machine-to-machine connectivity and that uses AT&T’s and T-Mobile’s networks. The service uses basic 2G technology, which is more than enough given that the device only needs to provide basic voice and data services. In addition to the basic safety feature, the Splitsecnd also includes a GPS chip that powers the company’s “family finder” feature. This, the founders told me, allows a parent to track their kids while they are driving and it keeps a log of the last 10 trips, too. The company offers both an Android and iOS app for this feature.